Tom Wheeler, sworn in Monday as chairman of the Federal Communications Commission, didn't waste any time getting started. Word has it he was one of the first to arrive at the Portals, greeting FCC staffers as they came through the door. Wheeler also named nine people to his staff, one of the largest chairman staffs ever. The staff, to be headed by Ruth Milkman, chief of staff, the former chief of the FCC's wireless bureau, is top-heavy with telecom and wireless expertise, and low on broadcast expertise—about what you would expect from the "Bo Jackson of telecom," as President Barack Obama called him. It makes sense that Wheeler would naturally turn to people he has known from his own background in wireless and telecom. But he also needs all the help he can get to carry off a successful auction of wireless spectrum considered the most complex in the agency's and the world's history. Wheeler said his team "will hit the ground running." He also signaled that he would continue the FCC's policy evolution in dealing with technological change. "With … the Internet becoming ever more important in the lives of consumers and businesses across the nation, this team provides an excellent mix of governmental, private-sector and public-interest expertise. 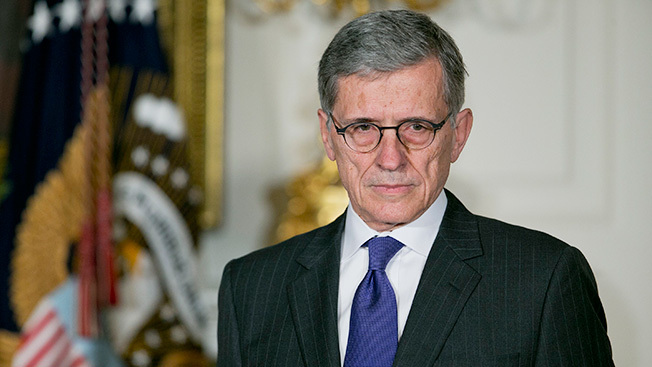 They will join the many talented and dedicated professionals of the FCC, as we work to continue serving the public interest during an era of great technological change," he said in a statement. Philip Verveer, senior counsel to the chairman. From 2009 to 2013, Verveer was U.S. coordinator for international communications and information policy at the U.S. Department of State. He has also worked at the FCC as former chief of the cable bureau, the broadcast bureau and the common carrier bureau. Gigi Sohn, special counsel for external affairs. For the last 12 years, Sohn was president and CEO of Public Knowledge, a public interest firm that has been a strong advocate of net neutrality. Diane Cornell, special counsel. She was most recently vp of government affairs at Inmarsat, but she's also worked as vp of regulatory policy at the CTIA-The Wireless Association, and the FCC. Daniel Alvarez, legal adviser to the chairman with responsibility for issues in wireline competition and public safety and homeland security bureaus. Alvarez was an attorney with Willkie Farr and Gallagher since 2005. Renee Gregory, legal advisor to the chairman with responsibility for issues in the office of engineering and technology and the wireless telecommunications bureau, and incentive auction. Gregory has been with the FCC since 2012 as a legal adviser to former FCC chairman Julius Genachowski. Marie Kirby, legal advisor to the chairman with responsibility for issues in media, consumer and government affairs and enforcement bureaus. Since 2012, Kirby was a legal advisor in the wireless telecommunications bureau. Wheeler also named Deborah Ridley as confidential assistant to the chairman. Sagar Doshi, a Stanford University graduate who has worked at Google and Protocol Link, will be special assistant to the chairman.